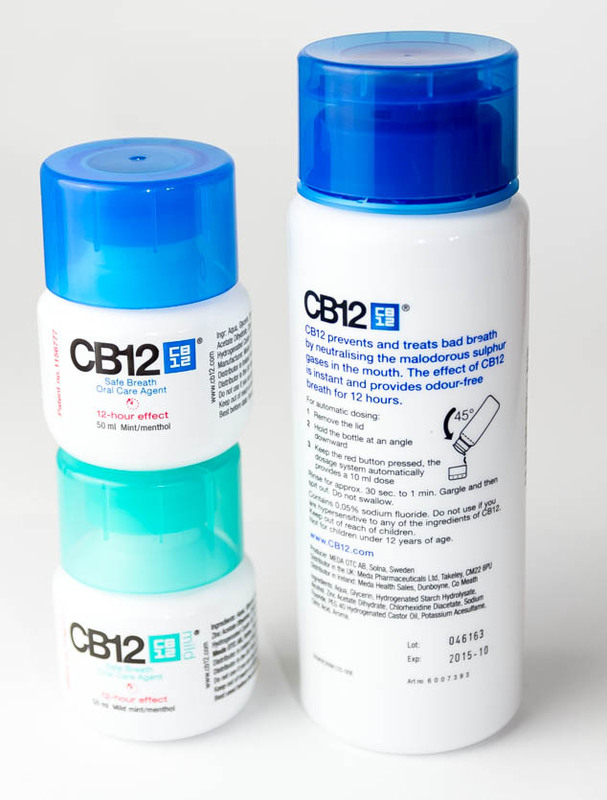 CB12 is a range of different oral care products used to prevent bad breath. Whilst I have never suffered from halitosis personally it is something that I am always conscious of and I always make sure I use mouthwash every day and gum after food. If you want to find any of my other posts focusing on teeth care products and oral health you can find them here. 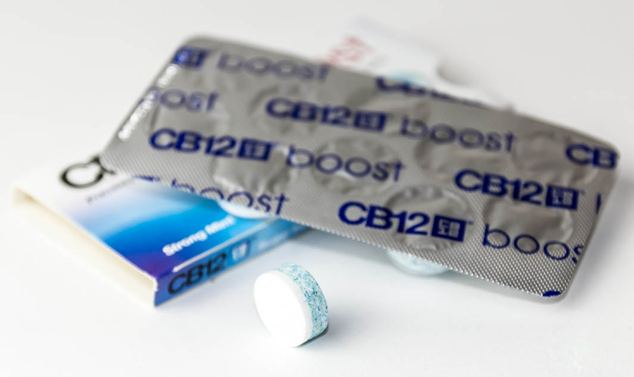 The first product in my CB12 reviews are the CB12 Boost Sugar Free Chewing Gum in flavour strong mint. I’m starting with the product because I was really disappointed compared to the other items. Apart from the unusual shapes of the gum and that it contains fluoride I can’t see how this is any different from regular, cheap chewing gum. For the price tag I expected more, my mouth didn’t feel particularly fresh and it lost it’s flavour very quickly. Although the flavour is meant to be strong mint it tastes like any other chewing gum and the fresh feeling didn’t last. The Mint Safe Breath Mouthwash is a different story. Its a really nice, effective and long lasting mouthwash that doesn’t give you that painful sting that listerine has. Both the Mild and the Mint mouth wash are more gentle than regular mouthwashes but do last longer through out the day to give you fresh breath. This is definitely a product I would recommend if you are worried about halitosis. If bad breath is an issue then this is a good investment, but be aware that there is nothing noted about whether the mouth wash aids your dental hygiene. Nowhere on the product does it say if it fights plaque or aids your enamel so you may need to use your regular mouth wash alongside the Mint Safe Breath Mouthwash. Again like the Chewing Gum the Mint Safe Breath Mouthwash is a little pricey, but I would recommend it if bad breath is a worry. It is a small price to pay to eliminate bad breath and boost your confidence. 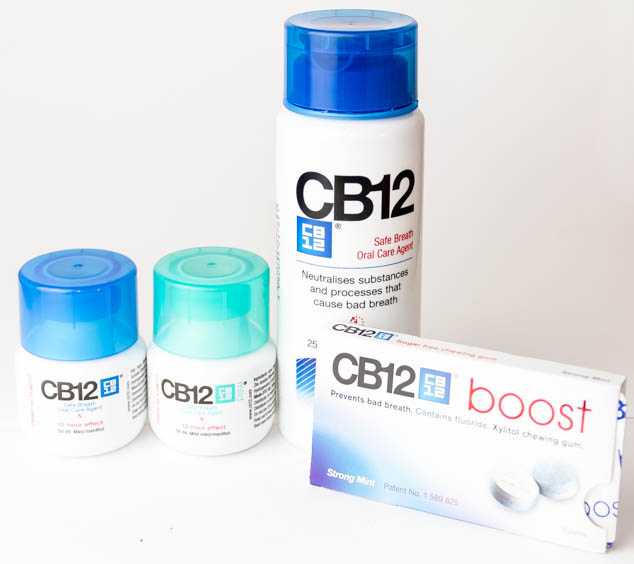 Have you ever tried CB12? What were your thoughts on the products?